Both the article in itself and its design in DJMP raise questions about the architecture and materiality of the book and publishing, including academic publishing, through its discussion of artist books and open access. The interesting discussion is of course how ways of publishing, textual formats, ways of writing, editing and reading relate to different kinds of politics, e.g. institutional, economic, ways of ascertaining quality, etc. These are very important questions, both in global politics (e.g. the discussions on ‘fake news’ and its relation to social media), in institutional politics (e.g. the standards and quality assessment of academic publishing) and in art and literature (e.g. whether readers are able and willing to actually read and understand different forms of texts). In general, it is a question of how the text mediates and transforms the reading, how meaning is produced and how/whether it reaches an audience, whether it is productive of e.g. meaning, knowledge and/or action. It is a discussion of the text between mediator and tool. It is noteworthy how little has happened after several decades of digital publishing and a plethora of death sentences for books and print: Even though some things have changed and are changing e.g. 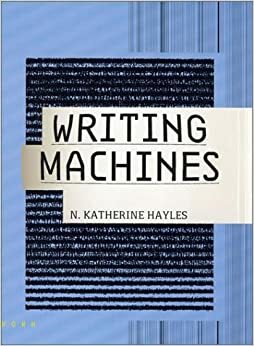 WWW’s ‘non-linear’ and labyrinthine, multi-cursal (Aarseth 1997) hypertext and the collaborative writing tools and platforms like wikis and social media are part of our everyday textual culture, we still have books and journals. Why? Is it because, as Stuart Moulthrop suggested already in 1991, that although hypertext affords new visions about a shared writing space, the responsibility for changes of this magnitude come from a diverse elite (of software developers, literary theorists, legislators, capitalists) who despite their differences remain allegiant to the institutions of intellectual property (the book, the library, the university, the publishing house). In other words, Moulthrop suggests that “it seems equally possible that engagement with interactive media will follow the path of reaction, not revolution.” (Moulthroup 2003 (1991), Andersen and Pold 2014). Is it because of institutional conservatism, because readers are conservative and slowly adapting (as the rather slow development of hypertext seems to suggest), is it a political battle (as the current discussions of the role of digital media, social media versus traditional media might suggest)? And to which extend is it a battle we should go for, if it includes breaking down the kinds of authority that comes with established publication formats and editorial processes (at least the current political climate raises some concerns). I know that many of these concerns are afterthoughts to an article and a design done before the current situation, and in this sense, they are more reflections that might be relevant for further work. However, the questions remain, whether hypertext and collaborative authoring always leads to more freedom and productive reading/writing? Whether deconstructing the order of the text and its extended argument is always a good thing? We have of course examples of great hypertextual formats that function well as tools and presentation of knowledge, e.g. the encyclopedia, but maybe there are also good reasons to preserve the extended argument of the book and the article? Today it seems simply wrong to assert that "hypertext does not permit a tyrannical, univocal voice” (Landow 1992) faced with Trump and Wilders’ tweets. Consequently, I think, the argument of the article and its design could relate to the history of hypertext and electronic literature, though the discussion of artist books and open access publishing is also relevant. The implementation in DJMP is in many ways exemplary and manages to present the article in nice ways, including the posters, the ability to comment and follow keywords. It allows its reader to access and use the text in different ways, and gives the valuable possibility of commenting and reading other people’s comments. In this it also follows paths from hypertext and electronic literature/digital culture, e.g. Electronic Book Review of A Peer Reviewed Journal About_. The design in many ways affords that it can do as it ‘preaches’, and in this way experiments with different ways of publishing academic texts. This is needed and current academia is not open enough to these kinds of experiments, that are, as argued, much more than making open access a homogeneous project – there is a need for an ongoing critical struggle that includes the forms of publishing. This is necessary, also to reach the popular masses on Twitter and Facebook! Currently, it is a problem, that standardizations within academia driven by STEM standards does not invite for such experiments that would in many cases not even be accepted as examples of academic publication. Also, I want to finish emphasizing that my discussion above is mainly stirred by the qualities of the publication, the important questions and reflections it raises. Andersen, C. U. and S. B. Pold (2014). "Post-digital Books and Disruptive Literary Machines: Digital Literature Beyond the Gutenberg and Google Galaxies." Formules 2014(18): 164-183.<br> Landow, G. P. (1992). Hypertext the convergence of contemporary critical theory and technology. Baltimore, Md, Johns Hopkins University Press.<br> Moulthroup, S. (2003 (1991)). You Say You Want a Revolution. The New Media Reader. N. W.-F. N. Montfort. Cambridge, Massachusetts & London, England, The MIT Press: 691-704.<br> Aarseth, E. J. (1997). Cybertext perspectives on ergodic literature. Baltimore, Md., Johns Hopkins University Press. This closing section has a lot of wonderful bits in it. I think the artfulness of this piece earns you the ability to make a stronger claim in the closing section. Even if it is an impressionistic one. It could even be in the parenthetical describing this last bit of music. I kind of love the parentheticals that offer a bit more substantive commentary on the choice. They feel like productive tangents that brush against the text in a useful way. So it was easy to leave. It has been much harder to return. In arts-based research practices, a series of abstractions and dealing with the abstract is equally as important in learning about the experience. I like that this sentence theoretically explains the movement from the "I" to the "we." I wonder if you could call that out more directly with a line like. "We (Peter, Karen, and Katherine) draw our stories together here in order to..."
It was then that I realized it was very serious – I could touch my palm with my pinky, yet my ring finger stood perfectly still. The writing here is so lovely and precise. There's a stylistic inconsistency in how each of these sections is presented. I feel like tidying the formatting so that each of these biographical sections has a similar form (and parallel structure) would help keep the reader from veering too far. Honestly, though, I'm loving the mash-up of forms, media, voices. That is working really really well. Just needs a bit more polish as you continue revising. I find myself wanting this to be the lead-off sentence of the piece. It sets the stage in a way that helps the rest flow from this claim, rather than around it. This whole section is very very strong. Really enjoying the trip you're taking me on as a reader. Might be a stylistic choice. But I feels there's something strange about removing yourself from the claim here. You're talking about auto-enthnomethodology while removing the "I" from your own writing. Even if you don't bring the first person more fully into the whole piece (which I'm in favor of), it feels apropos to at least bring the "I" back to this section. I wonder if you need this sentence. It feels so broad that I find myself nodding, but I also get pulled right out of the specificity of your previous claim. Would the section work if you just removed this sentence altogether? Put simply, in practice-based research, the creative act is an experiment (whether or not the work itself is deemed “experimental”), one designed to answer a directed research question about art and the practice of it, which could not otherwise be explored by other methods. Love. And glad this is called out in the formatting. The assertiveness of this propels me into the rest of the section nicely. You start with a passive sentence, which pushes me further away as a reader. Can you move a main noun and action verb to your opening? Something like "Practice-related research confounds traditional distinctions (and hierarchies) that put our 'work' and the writing we do about that work on two ends of a spectrum." Doesn't have to be that, of course, but looking for a way you can reel the reader in to sit with all the nuance that unfolds throughout this section. So much life in this bit. A flurry of fields I want to dive more deeply into. You might consider being even more explicit/assertive. Something like: "Readers will, for all intents and purposes, write the text alongside the authors." I love everything in these opening paragraphs, but I feel like I want a bit more of the author at the outset. I think this could all be the second paragraph, and the stage could be set more vigorously with a claim that draws me in. There is something interesting here about the facilitation of the use of professional equipment, rather than, say, a phone camera; this could be empowering (but the access is temporary – a gift then taken away? ), or it could be alienating – a self-portrait produced with strange machinery. The technological dimension is not addressed explicitly, despite the power that inheres within 'pro kit', despite the language of democracy and facilitation that the project uses ("invite", "assist"). I wonder what the rationale was for the use of the medium format camera. As Ben says here, the process is opened up to scrutiny, becomes 'part of the work', which means that we have to read these images differently – we're not going to fall into the trap of what Gregory Currie calls 'aesthetic empiricism' and judge the photos as art works in a vacuum. But perhaps there's the danger, lurking, of aestheticising the abject? And (although it's probably the seaside setting that prompts this association) the beach photos taken by the participants just occasionally reminded me of some of Martin Parr's New Brighton photographs. So what kinds of photographic language have the participants internalised? Are they conscious or unconscious rhetoricians of the image? It strikes me that the soundtrack that accompanies the montage presented here (which is much more limited than the gallery exhibition described in the conversation between Anthony and Ben) is as important as the images; it allows us access to the negotiations behind the camera, the handing over of the cable release so that the subject becomes their own object, the pedagogic conversation, the gratitude. But there is always the awareness of a power differential between artist and participant, and of the editing of the sound, the selection of what to include and what to exclude, despite its vérité quality. Jo Spence is a great reference point, given how she forged such a powerful voice through images of her vulnerable body. Photography was an autoethnographic tool for her – is there an explicit connection to be made here I wonder? This apparently oxymoronic term that Ben Burbridge uses, 'photo voice' encapsulates a key issue for this project - how a picture 'enunciates'. Anthony, the artist, understands this debate well, and both he and his interlocutor Ben, are aware of the play of meaning here. Luvera volunteered at the Brighton Housing Trust homeless support service, First Base Day Centre, working in the kitchens and in the activity rooms over the course of a year. Echoes here of the sociological participant observer with, perhaps, the attendant ethical concerns about appropriation. The artist's roles as facilitator, 'voice', 'lens' begin to emerge here. people will be trained to engage more rigorously and respectfully with each other. YES!!! This should be the goal in its entirety. I'm so glad to hear you say "promote a more civil discussion". Too often civil discussions are avoided and, many times in education, not even offered. How are we to sustain a successful democracy without civil discussions being present and offered regularly? How are we to train up successful, contributing citizens without offering civil discussion opportunities with regularity? It can't happen and won't happen, my hope is Hypothes.is can help achieve this! a culture of civility and inquiry, but of course that’s no bulwark against trolls. You're right, however, a culture of civility and inquiry can very easily overpower trolls if it's built correctly. A strong community can withstand many attacks if it's genuineness and civility remain strong! Perhaps a way for a site owner to opt out of web annotation, though I worry such a feature would undo the ability to speak truth to power. I share this worry with you! I believe this infringes on the realm of censorship. How can one post something on the web and opt out of web annotation? Seems to be a double standard...I want the public to hear this but I don't want to hear their thoughts. Certainly limits the ability to speak truth to power. listening to authors, first of all, but also to other readers, and then sharing where we stand? I certainly like to think so. Completely agree here! It is in listening to each other that we progress. Without listening to their readers, authors are simply writing what it is they want, think, need, and feel. Without listening to authors, the readers are necessarily even reading for understanding. It seems cyclical but important to note, I wonder what would happen if we listened to each other more often, especially in the case of web text truly bringing about the "net-working" RK described. An important establishment in learning from text. How often we presume the author to be the authority. It's important to be open and willing to listen to the ideas of others if we are really seeking expertise. Growing from feedback and criticism is one of my greatest achievements. It is my hope to see this in all learning environments, too often it is pre-established or determined without respect to learners' needs and interests. RK is not the only one, I'm still feeling very new as well and learning each time I annotate. The newness is sometimes intimidating but I proceed nonetheless. How might it become more user friendly and inviting to grow the audience and participants? Great point here, when can I use Hypothes.is on my mobile device? I'm falling behind due to the need of being at a keyboarded laptop. How might be promote equitable access to such great tools? Comments sections have served this purpose in the past to an extent, but we might think of web annotation as an evolution of (rather than proxy for) page-bottom commentary. This strikes me as a key factor in web annotation reaching the mainstream, especially in education. When an educator asks, "How is this significantly different from leaving comments at the end of an article?" it will be helpful to have a concise, comprehensible and convincing response. When I speak about this, I focus on the "contexting" that web annotation facilitates and the potentiality for authentic audience and dialogue. The problem with both of these points is that a critic can (rightly) respond that existing page-bottom commentary can already allow a degree of both of these. Just as there is ambiguity around defining a word as simple as open this conversation hints at an emerging struggle with a shared meaning of annotation. As Remi points out, the traditional view of annotation is as a tool acting in service of reading comprehension. What we are talking about goes beyond that. While Merriam Webster and other disseminators of meaning can add extra definitions to their dictionaries under the word 'annotation', I wonder if an easier path to meaning making might be through using different words. There's a risk that it only leads to complications and muddying the waters over semantics but is it worth considering? I describe it as uptexting (not sure if I thought of that on my own or borrowed from someone else). I've heard University of Texas' Carl Blyth describe this as Social Reading and am drawn to this term because it captures the community aspect and might be less confusing because it doesn't seek to reappropriate an existing, commonly held definition. allowed students to attach a preset (though variable) set of terms to specific selections of text. It touts itself as a critical reading tool but in fact delimits the variability of a reader’s response to a text, not to mention a teacher’s approach to textual analysis. Allow me to push back a bit here. While the "canned responses" could, in some environments, build fences around student creativity and expression, it does not have to. From my limited play in the Ponder sandbox, I noticed that students could click on the canned responses OR offer their own annotation just like with Hypothes.is (though I am not sure if the annotation is limited to text). Also, I perceive the canned responses as allowing for scaffolding for younger readers and second language learners. The same technology that can spew hate speech on an individual’s blog post can also be used by community organizers to publicly critique proposed legislation. Yes, this is part of the paradoxical way that open works, as Martin Weller has argued. This is the crux of all of the challenge for me right now. suggest edit: change to "hopeful." Much of what makes Hypothes.is special – its non-profitness, its open sourceness, its advocating for open standards-ness – is specifically structured to counteract the politics of the siloed version of the web we have now, which is not conducive or structured for enhancing civic engagement. The fundamentally open structure of the web allows information to flow freely. An open structure for web annotation will allow critique and conversation to similarly flow freely. There I go again on standards, but it’s an important difference between Twitter and Hypothes.is (or any open annotation client): your annotations are yours in a way that your Tweets simply are not. Honestly, I am flummoxed about how to respond to the fake news/propaganda thing. Notions of "truth" and "credibility" and "verifiability" are so complicated, and I don't want to be forced by the terms of a fucked up debate to rally around reductive ideas that some things are true and some are false. And then again, I don't want to advocate for an anything-goes approach that makes room for climate- and holocaust-deniers. I am an active user of Snopes. But how do we allow for the richness and complexity of diverse perspectives and non-dominant narratives, while resisting the emerging leftist role of "truth police?" I think H might allow us to do the kind of discursive work-- dialogic work-- that helps here. I don't like to think about that work as fact-checking as much as the critical exposure of epistemologies. We are all biased. Anyone else uncomfortable with the idea that if we just science enough (or whatever) we can get to some kind of pure, irrefutable truth? How could that end up hurting the causes we are trying to advance? I know I am basically just another lit crit perspective here, but honestly that background-- particularly as a poststructuralist and probably as a postmodernist--inflects so much of my thinking about what the web is and can be. I think moving from English to Interdisciplinary Studies has also made me value the perspective that sees all knowledge as always incomplete; I love that my new field has a core value of noting that there is always another perspective, even if it's not visible or known yet. So when I work with students on the web-- especially in "intro" courses that are supposed to indoctrinate them to the core principles and theories of Interdisciplinary Studies-- I like to present the web as a space that allows and supports dynamism rather than stasis (process over product). But this is so out of line with so much about how teachers think about "public" writing and projects; we want them to be "portfolio" worthy, tidy, complete. When student work is flawed, I think it's a reminder to us about how we can think of all scholarly work. I love that H lets us focus on critique without a requirement that we devalue the work-- in fact, quite the opposite (we critique what has value and potential and impact and utility...). Just thinking out loud, but I think this aspect of "open-endedness" is really the core (ha ha-- irony) of so many of my areas of interest right now. Thinking about this term, and about preceding it with "everyday." Wondering how one becomes this, whether it can ever be mundane without erasing the privilege inherent in the status. I came to understand open as an invitation for reciprocal networking, the ongoing negotiation of power, and as ambiguity. Under what conditions does web annotation create the social and technical structures to enhance such civil, and trustworthy, online discourse? Wow what a question. I can't wait to see what other people have to say. It seems like it would be easy to come up with ways that are not civil, or trustworthy, online discourse - but to frame this as which conditions are created is far more powerful. As I mentioned in an earlier annotation, I think much of this has to do with shifting personal epistemology through the process of discourse with "authorities" and authors, the societal weighting of evidence and supportive information, and the interaction among participants and text at various levels. But there is a whole lot there that can go wrong. I love all of the occasions I've had to interact with others via hypothes.is thus far, but it does strike me that they have been primarily among peers with similar perspectives, epistemology, ideals, and academic background as myself. And perhaps that is a good place to start- modeling constructive and supportive behaviors in certain communities of practice? Edit to add: I think the social expectation that comes with using hypothes.is the way I have (through annotation flash mobs and annotatathons) is important. Having annotated this article as separate from a flash mob type event I find myself constantly checking back for new annotations, commentary, and responses. Web annotation for me has become inherently a cooperative and collaborative practice. in the same line of thought as with choral explanations? that we’re not just accessing knowledge on the internet, but creating it ourselves. But it’s not at all the way the web has evolved in terms of the everyday ability to effectively question authority, both technically and politically. And with that, perhaps we should open this dialogue up for other people to join us. As always, so glad you did. What sort of digital literacy does this require? Are there standards for citing web annotations? How do we acknowledge and credit this shared authorship? I think this is such a powerful motivation for using web annotation as a component of peer-review and academic conversations. I love the idea of the public playground, and I think that concept along with the affordances of hypothes.is, say something about the relative safety net of open annotation. Like a public playground, it is not without risk to those participating; however, a degree of anonymity is still offered. You can disconnect your hypothes.is user information from your identity. This can, of course, be both a good and bad thing in generating commentary, but is an important feature of this particular "openness"
I also just love the connection to "play"
Could we perhaps use tags or groups to functionally sort through the layers of "noise" ? Perhaps things like: content critique, meta, grammatical nuances, etc? There’s also a growing culture of people on Twitter hacking the microblogging platform as an annotation tool. They call them Screenshorts, Tweets that use screenshots of highlighted text to ground commentary. To me it’s just web annotation 1.0. But they’re just trying to be good English students, right? From a pedagogical and rhetorical perspective, at least, an annotated Trump speech is more effective than a random comment out there in the ether of the net. Similarly, a close read of the Clinton emails I believe would reveal there’s not much of a story there. But as a culture, we are not engaging with politics in that way, and we would be better off if we did. I've proposed a workshop to the Future Architecture platform, organised by the Museum of Architecture and Design, Ljubljana. The idea is that the ideas arising from the UniverCity forum can be worked through in discussion about the possibility of a future form of architectural visualisation not tied down to images of completed buildings. Renderings of unpredictability, of occupation, of diverse public knowledges. Vote online: and browse the other projects too. It is so refreshing to read a researcher - outside of dance academe - acknowledging the critical (in both sense) importance of gut instincts in guiding research enquiry. Somatic practice teaches that the gut - being the first organ to form in utero and thus a primitive 'nervous’ system - remains our first and more responsive ‘sense’, before conscious, prefrontal neural processing (e.g. see Bonnie Bainbridge Cohen's Sensing Feeling Action (1993) or Linda Hartley's Wisdom of the Body Moving (1995)). While academe is becoming more aware of or preoccupied with dissolving mind-body binary, and the validity of embodied and practice-based enquiry, having the bravery to pursue research that is guided by these things FIRST, with logocentric critical discourse only following subsequently is really important, but seems to be practised less than it is proposed. Just been invited by Clare Melhuish from UCL Urban Laboratory to participate in a symposium this November. Title: 'Co-curating the city: universities and urban heritage past and future.' We'll be looking at UCL East and the University of Gothenburg in the context of University developments in urban contexts. The forum will feed into this. 'Altered books tap into our collective heightened interest in books as objects. Physical books, as differentiated from digital versions, tend to trigger memories, both visual and tactile.' (Kuhn, 2013: 11). The question of what will be left behind of the digital is a curious one here, perhaps. While we know what film and a physical book leave behind, the traces of their existence are still present (film strip, video tape, paper), what will be left behind of digital works (books)? What traces do digital forms leave behind? See the idea of 'altered books', or bookworks, as defined by Doug Beube, as presented in 'Art Made From Books' by Alyson Kuhn, which looks at the conceptual underpinnings of artists books but also art made form books whereby the physical material of the book functions as a material and a platform to exercise ideas. For the changing guises and forms of a book, see The Book Is Alive blog, which displays book 'as an evolving, open and visual medium' that is curated and alive, thus its shape and content can change. See for example an experiment concerning gestures of reading and writing, 'unruly gestures.' 'unruly gestures: seven cine-paragraphs on reading/writing practices in our post-digital condition' is a performative essay for 'Shifting Layers. New Perspectives in Media Archaeology Across Digital Media and Audiovisual Arts' edited by Miriam De Rosa and Ludovica Fales (Mimesis International, 2016). In it we aspire to break down preconceptions about gestures of reading/writing that relate to their agency, media-specificity, (linear) historicity and humanism. Informed by Tristan Tzara’s cut-up techniques, where through the gesture of cutting the Dadaists tried to subvert established traditions of authorship, intentionality and linearity, this visual essay has been cut-up into seven semi-autonomous cine-paragraphs, accompanied by text. A number of recently curated sources explore this idea in a similar manner. See for example Photomediations: An Open Book. This is a really clear breakdown of the different kinds of contributions a practice-related research project can make, especially in creative practice. As you say these categories are not mutually exclusive, and I think often the way they bleed is most interesting for creative practice research. I think perhaps another aspect that is part of this conversation is 'intention'. This for me is the difference between the kind of research and contribution artists make as opposed to researchers (that use an art practice as part of their research). A researcher's intentions need to have a scope beyond their own practice. The intention also needs to have a trajectory beyond that singular project. When I say 'intention' I do not mean a clear set of guidelines and questions that unfold logically and rationally toward a clear point. I just listened to a lecture by Pia Ednie-Brown at RMIT University who named intention as a tension between the involuntary and the elicited. It includes both discovery and invention. Are the artistic and scholarly spirits fundamentally at odds? Is artistic practice at odds with academic notions of research? They shouldn't be! After all, in a lot of ways, no matter what our purpose in creative practice -- whether for research or not -- it nonetheless is a form of research. We are experimenting with art, trying to be better, get better. It's always research in an implicit sense. What makes it explicitly research is when it is incorporated into a defined methodology that allows us to explore and respond to specific research questions, and to communicate how the practice helps us answer those questions. Ideally, it should be a symbiotic relationship. Also, who defines what is "good"? The academy? Research councils? Consumers? Prize committees? does it matter if the film that emerges from the research is no good? Depends on the research question, and whether or not it is applicable as research. If we consider writing as a process of thought ‘in action’ (i.e., ideas transcribed through language), then what’s the problem with screen practitioners having to produce a statement of research? Is writing the problem; or is the problem actually a lack of research? I think this is a key element in practice-based research in media in general - if we look at the creative practice as analogous to data (in the sciences, for example), then we still have to make the contribution to knowledge explicit through a statement of research and/or exegesis. The sciences don't just throw raw data at each other and ask one another to figure out what its contribution is - that's what papers and reports are for. I can tell you a lot of them don't like writing it up either! But at its core, isn't that what research is -- collecting data, analyzing it, and communicating it explicitly to others in the field (and even outside the field)? Add comments, highlights, annotations, and tags through Hypothes.is.